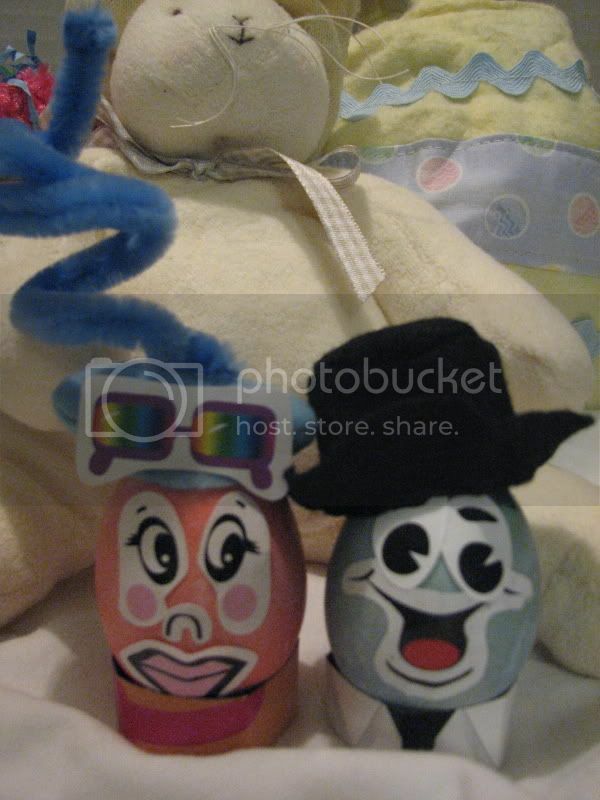 Now here is where I have a problem... we were the proud owner the PAAS "Egg Head" kits! And they turned out absolutely adorable... but I miss the plain eggs! 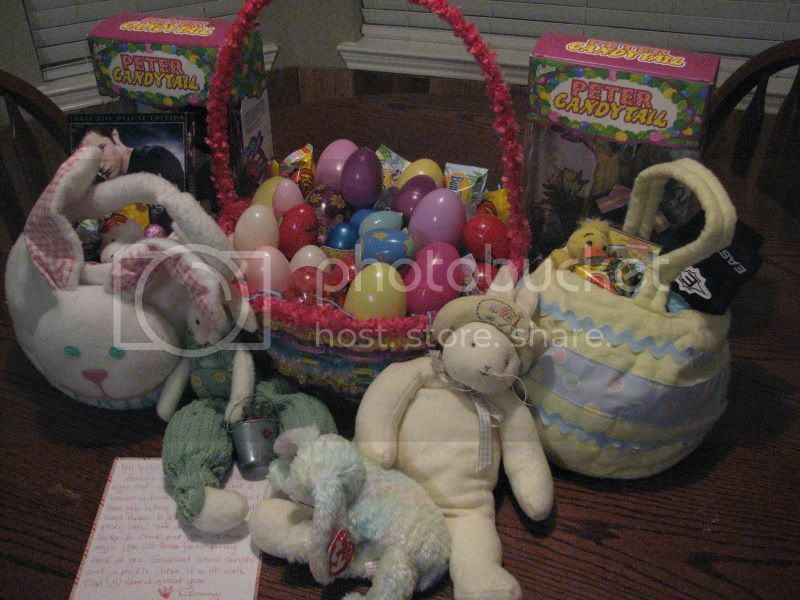 The creativity that goes into them, and the beautiful traditional photo you get with a basket full of bright colorful eggs! One day... 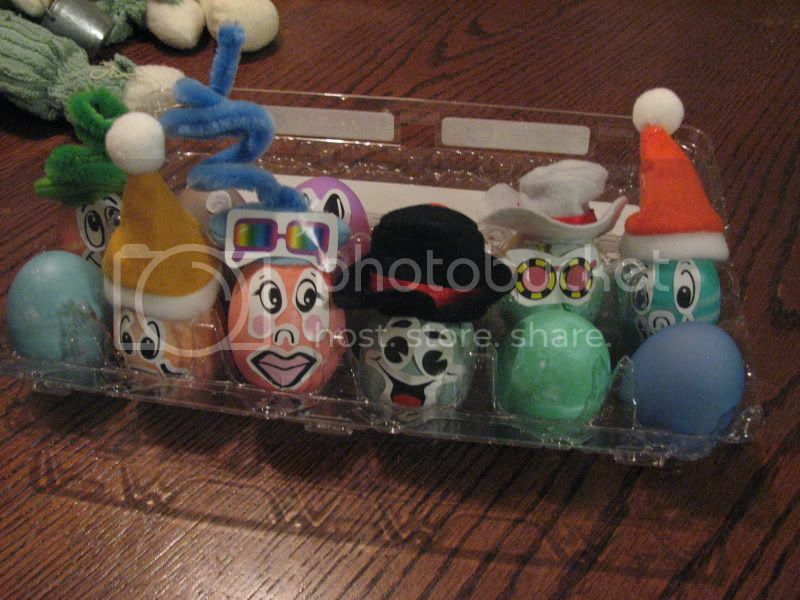 I will have complete control of the egg dying process... but I guess for now, I will just have to giggle at the love that was put into each egg, and treasure the family time that was created by this tradition! Cozumel will be a late start. That feels good after being always on the go... however, I have found that I am not that good at just laying in bed KNOWING that there is a world of stuff going on right outside my window! It was fun to sit on the balcony and watch the port come alive. Today is T's day... a dolphin encounter at Chankanaab Park. We got to the tour area a tad early, so we thought we would cruise quickly through the port shopping mall to see what is in store for us when we are done! Both kids spotted some ideas to spend their money on, and we knew that we would be hitting Senor Frogs on the way back! Drinks on the boat are expensive! There were guys dressed up like statues around the mall... It was fun to watch tour groups walk by and the "statue" reaches out to touch one of them! I thought one lady was going to drop her baby he scared her so much! After checking in with the little tour group, they put us in a taxi and we head onto the park. It was slug bug central... Man, the amount of old VW Bugs down in Cozumel... I am sure the newlywed couple sharing our taxi though we were completely insane! Who cares... we are on vacation! Chankanaab Park is a little private park about seven miles from the port. There is the dolphin encounter, swimming pools, snorkeling rentals and areas, beach front, and GREAT Mexican food! It was really clean... and I would suggest you visit there if you are ever in Cozumel on your own! When we got there, we did the usual, lockers, change, and a quick lesson of what you can/can't do with the dolphin, a life-jacket pick up, and we are on the way to the dolphin tanks! Our little trainer didn't have much personality, but Xunam, the dolphin, did. She was almost one and beautiful. The trainer showed us some basic hand signals and then we took turns asking Xunam for hugs and kisses with a quick pose for the dolphin encounter photographer! Certainly an experience we won't soon forget. We did bring a little water camera and got a few good ones... James bought the DVD/photograph package... now we really won't forget. When T is a tad bit older, we can do the actual swimming with the dolphins. He loved it! It doesn't show in his photos... the water was really cold, he couldn't reach, and the way he had to be held made his life jacket press up on him. It was a really quick experience, but we had a great time. After we found our towels and warmed up a bit, we started smelling the Mexican food... the reminder of the Guatamalan Guacamole was still fresh on our brains! Luckily for us, a little authentic Mexican place was right next to the photo booth! T was anxious to snorkel, he really enjoyed it in Costa Maya... however the water was quite a bit warmer. The sun was behind the clouds and the bit of drizzling rain didn't help warm us up much. On the way to the snorkeling rentals, we ran into one of E's friends' mom and brother. too funny! We knew they were going to be there... but what was the chance we would actually see them? We didn't get much time with her or with snorkeling as we had to head back to the boat. The water was freezing and the rented gear was a little off... Chuck got went far enough to see the underwater Christ statue similar to the one in Brazil. We didn't have any more photos in the water camera, so that will just have to be a memory. Back at the port, we dropped off our swimsuits and towels, changed clothes and headed back into the shopping part of the port. Some of us thought it would be fun to take the little trikes! The kids picked up the stuff they spotted earlier, got some shirts, and found a beautiful mask made out of stones (will find where I wrote all that down and add later) and a beautiful vase made out of black clay! Should have taken a photo of our goods, as neither the mask or vase made it home in one place! I was able to glue the mask back together, but the vase ended up in the trash! We picked up our "yard" drinks at Senor Frogs, had some personalized bracelets made for each kid, and headed back to the boat! From our balcony, we enjoyed the free entertainment as we watched some very drunk people heading back. Quite humorous... I thought they were drunk AT the port... watching them try to get back ONTO the boat was better! And what they didn't come back with... I swear there was a sombrero bigger than my child! We had the best little cabin people... each day they would personally chat with T and ask him what his plans were going to be... then at the end of the day, they would ask him about his day... one day they heard me call him by his nickname of Monkey... And this is what was in our room on this day... aren't they the cutest! These guys really were fun to be around each day! Thanks Freddie and Rachael! Decided to head back to "Le Bistro" for dinner where Albert the waiter and "Big Boss" (T) continued their friendship from the other night! Chuck and James hit the casino while Penny, me, and the kids watched the "Kids Kamp" talent show before heading back to the cabins... little did we know that our favorite little performer would belong to a lady we would meet poolside the next day! Such talent... and I think her mom, Kim, and me will become great friends! Oh... sweet slumber... tomorrow will be at sea... I do NOT have the tan I was hoping for... I plan on hanging out by the pool, reading a book, and watching my kids enjoying this last day on the boat! I can NOT believe that this week went by so fast!